We absolutely LOVE posting news of free water testing offers and today’s free water test offer came to us from Taos, New Mexico. Collect a sample approximately 1 liter in size and do so in a clean plastic or glass container. Refrain from using any container that once contained substances with strong or otherwise pungent odors. Also do not use containers that once contained chemicals like bleach, ammonia, lemon juice, etc. Make sure you collect the sample before the water goes through any sort of filtration, treatment, or softening system. Allow water to run for a few minutes before collecting the sample so that the water collected has not had time to sit stagnant in your plumbing for any period of time. If possible, collect your water sample right before heading down to Coronado Hall at the Taos Convention Center and do not allow the water to sit in a hot car for any length of time. Curious as to why the Department of Health would offer such a full suite of testing for free? The answer involves their desire to get an idea of water quality all across the region without having to go out and drill/take a bunch of well samples themselves. To help the Department of Health get the best overall water quality picture, if you can, please record your well’s depth, the water table level (if known), the material your well casing is made out of (i.e. iron, steel, PVC, etc. ), and the distance from your well to the nearest septic tank and/or leech field area. Interested in having your well tested… but not a resident of Taos County? First, we suggest contacting your own local health department to see if they have any free or discounted water testing programs available. 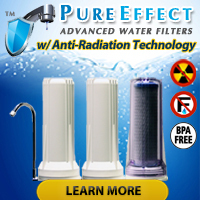 If not, then ask if they can recommend a qualified (certified) drinking water testing laboratory in the area. And finally, if neither of those options work, you may want to consider the mail-in water testing services of a company like National Testing Laboratories that manufactures the Watercheck Water Test Kit Packages. 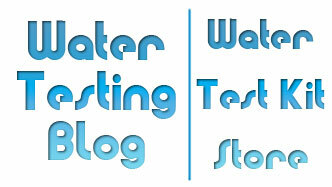 Interested in performing spot checks on your well water quality? Well water and health officials urge ALL private well owners to get their water thoroughly tested on an annual basis and immediately after natural disasters such as flooding or any other event that could cause a breach in wellhead integrity. Those same folks ALSO suggest performing spot testing for critical water quality parameters (i.e. heavy metals, nitrates/nitrites, coliform bacteria, etc.) on a semi-regular basis… just in case… because the quality of water coming out of a well could change overnight and sometimes it can do so with no apparent change in taste, color, or odor. Example: Heavy rains could raise the level of the water table and cause water in the aquifer to come in contact with exposed inorganic arsenic which then gets dissolved in to the water.